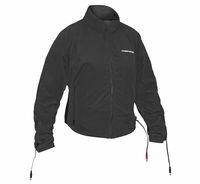 The classic Heated Jacket Liner thats been keeping riders and passengers warm for years. Form-fitted to be worn close to the body for optimal heat transfer. Liners built to be temperature neutral to allow wearing when active heating isn’t necessary.